As I talk and work with those in positions to influence others, I am struck by the concern expressed that the change they are promoting isn’t happening fast enough. I get it…I have felt that way many times in the past. Honestly, I feel that way on a weekly basis. I think it is human nature to want to see the fruits of our labor as quickly as possible; however, it is also important for those wanting change to keep in mind that it does take time! One way of looking at the issue of impact is to consider the simple graphic above. I am a space race fanatic and often think about those mathematicians and engineers in mission control during the lunar missions. If the mathematical calculations were off by one degree we would have missed the moon. One degree doesn’t seem like much but it is a big deal when amplified over 250,000 miles. A more relatable example of this would be if you have ever done a home improvement project. A “minor” eighth of an inch mistake at the beginning of a project will end twenty foot later as a giant mistake that might not be easily fixed. What if we think about educational change in this way but with a positive spin? 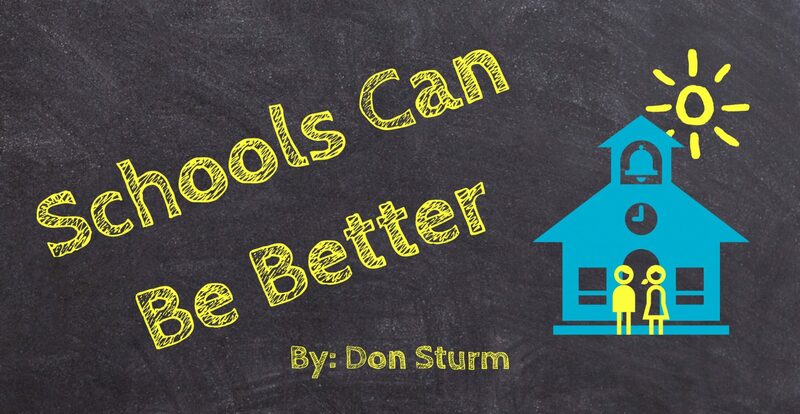 It may not seem like the ideas and suggestions you are promoting are having an instant impact but consider what your school/classroom might look like after some period time has passed. That change you promoted gets implemented in a few classrooms, those students move to the next classroom, more teachers are indirectly impacted, those teachers decide to make a change and, before you know it, real change has happened. There is some educational change that is much needed right now. I am not suggesting that we throw our hands up and wait for time to pass for each and every change, but it is also wise to remember the idea of change growing exponentially. A few strategic, small changes now might start the ball rolling for real, lasting, and necessary change to our educational system in the future. I agree with the idea that change can grow exponentially!